The pictures for listing are a sample as this is a made to order item. 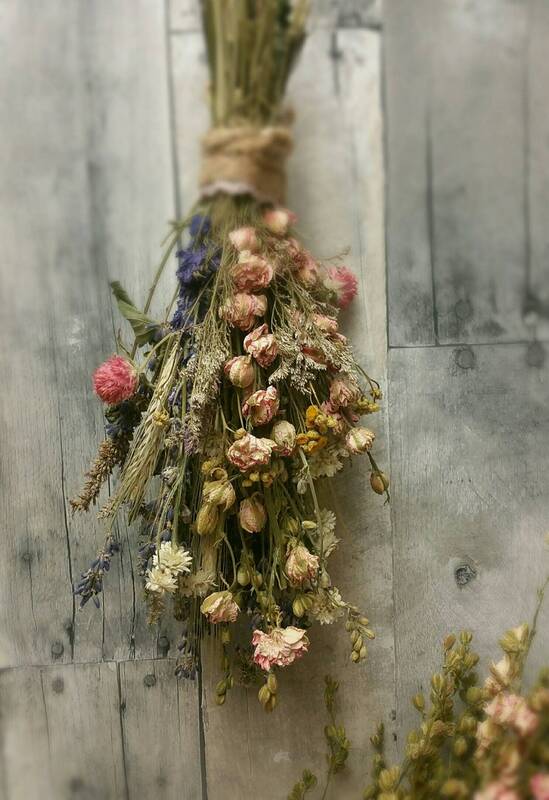 A mixture of lavender, grains, Larkspur, botanicals, dried florals and herbs. You will receive one (1) Small Dried floral bouquet which Measures approximately 6-8 inches tall and 3-4 in wide. Stems wrapped in jute. Includes jute loop hanger.